Paper Issues - Pink Paislee Snow Day! We've got a new theme up at Paper Issues, Pink Paislee is sponsoring this theme with their new collection, Snow Day! ETA: Cassie is having a giveaway of the ENTIRE Snow Day line on the Paper Issues Blog. You have until Nov. 12 to enter! I've got a couple of projects to share, and then I'll have some other ones throughout the next couple weeks. First up is a layout I made. I really adored all the snowy stuff, so even though this picture doesn't have snow, I used snowflakes anyway. I misted the background paper with Studio Calico Mr. Huey Dewey just to saturate it a bit more. 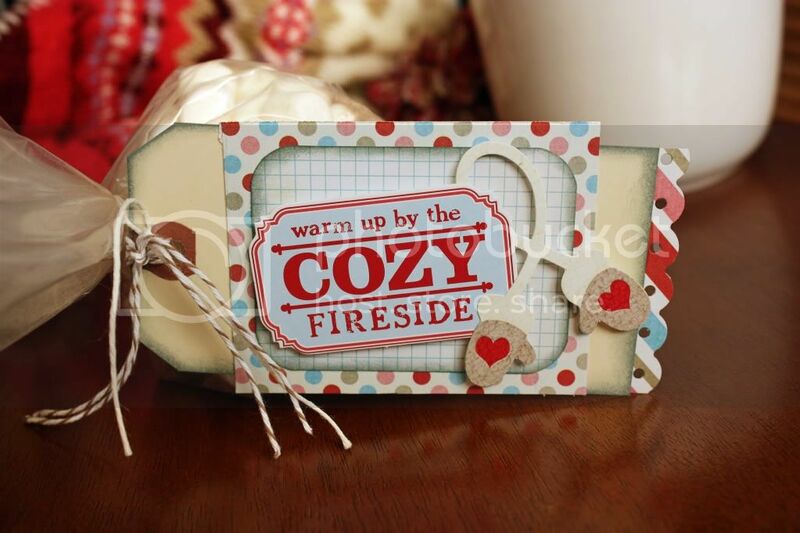 I also embossed some Studio Calico wood asterisks with American Crafts white Zing, to make them pop! 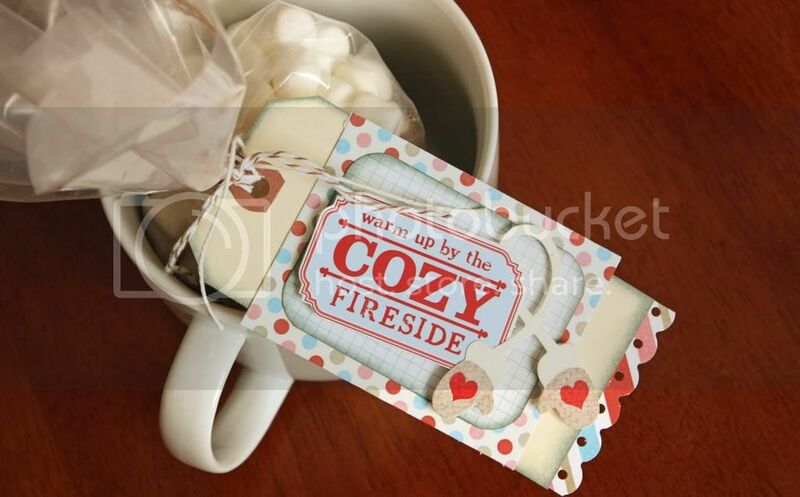 This next project is a fun little gift tag for some hot chocolate with marshmallows. My best friend Jamie is a fan of hot chocolate, and I was totally thinking about her when I made this. Seriously, doesn't that sound good? I think I'm gonna go make myself some hot chocolate and drink it while I admire all the other DT projects over on the Paper Issues Blog. Those are awesome projects Holly! The tag is amazing! THat layout is so pretty, Holly! Love the wintry feel! Your layout and cocoa tag are brilliant. I'm a fan of hot cocoa myself.. love the idea of gift giving hot cocoa mixes that way. Love these! the cutest tag ever!